So I spend a lot of time in the kitchen and that is primarily because I like to eat. A little part of me also enjoys cooking for other people, but it is mostly because I like to eat. 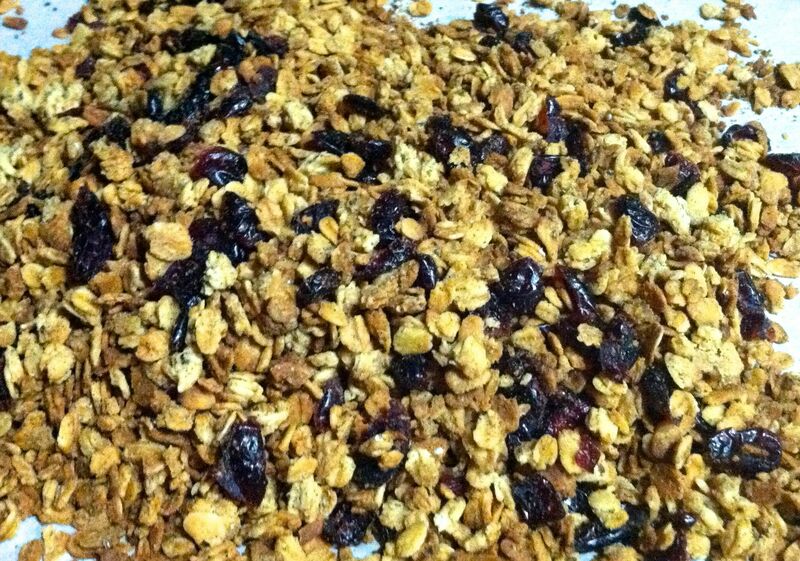 So here is my recipe for LCC Granola or Lemon Cranberry Chia Granola. It is delicious and not overpoweringly sweet. Plus the lemon juice and skin adds a wonderful yummy surprise. 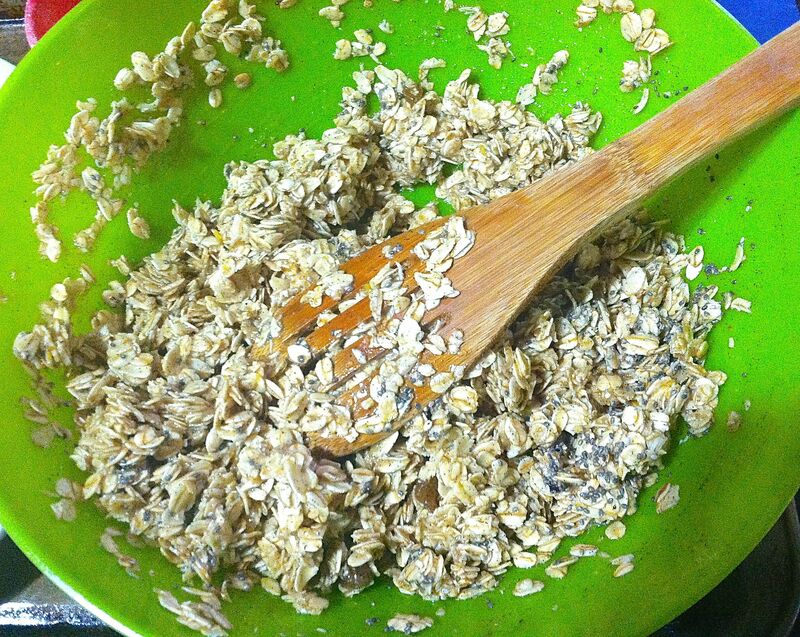 Oddly enough, I like to through some on top of creamy oatmeal; so it’s an oats on oats kind of situation. This dish is lovely and really (I mean really) easy to make. Enjoy! **Note: “Lumps” in the above photo are dissolved brown sugar lumps. Yum! Bake about 20 – 30 minutes, until golden and fragrant, gently turning every few minutes. 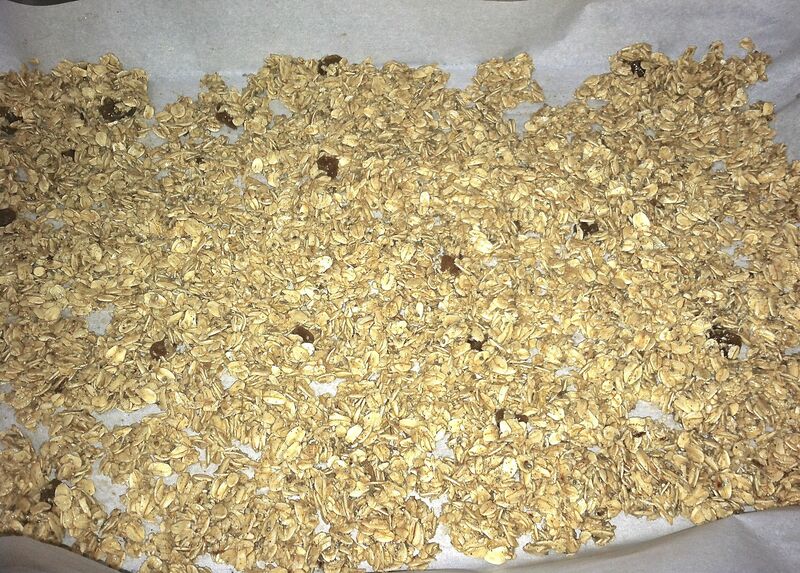 I left mine of 30 minutes, I would like to say it is because I like my granola extra crunchy but it’s because I forgot it in the oven. But this recipe is so simple you can’t mess it up and it came out delicious anyway. 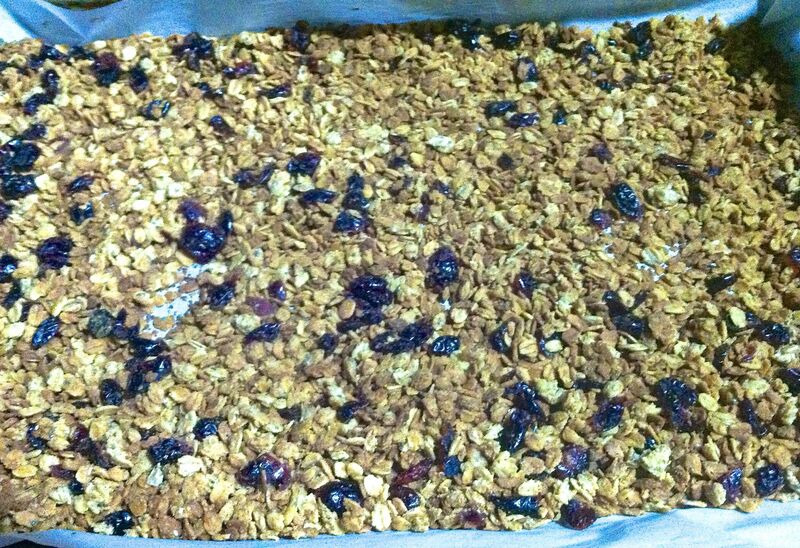 Can be eaten plain, with yogurt, salad, milk, or anyway your heart desires.